Last month, reports brought more light on the device�s key specs such as its 6.2-inch foldable screen and Snapdragon 710 SoC. 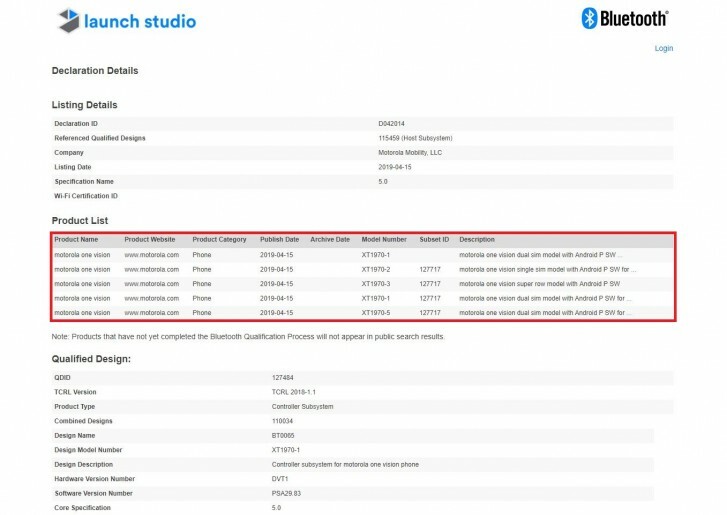 Today, the device codenamed Voyager received its certification from Bluetooth SIG, suggesting an official announcement is just around the corner. 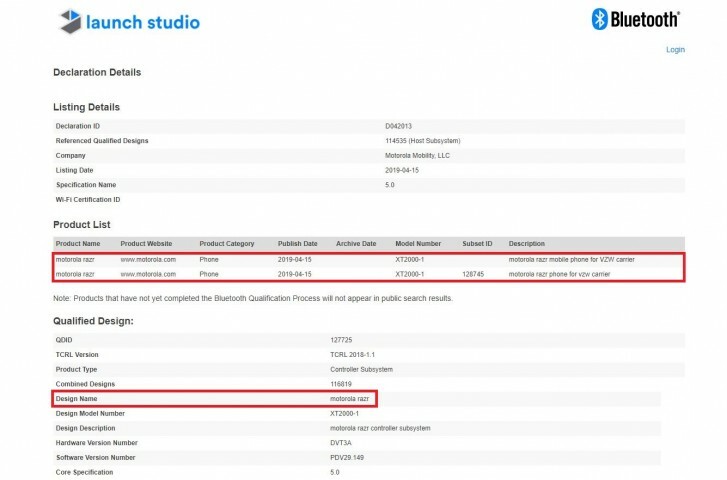 From the certification description, we can clearly see the device will be a Verizon exclusive for the US while it remains to be seen if we�ll see it on the global stage. We also see that the upcoming phone will feature Bluetooth 5.0 support. Rumors point to a $1,500 launch price which will make the device more competitive in the foldable segment compared to the $2000 Samsung Galaxy Fold and $2,600 Huawei Mate X.